Carrying too much or too little weight can increase your risk of developing a range of health problems. There are some simple but effective steps you can take that can help you to manage your weight. There can be confusion about what a 'healthy weight' is. Doctors and medical scientists use words such as 'overweight', 'obesity' and 'underweight' to describe weight levels that have been shown to increase the risk of health problems. A healthy weight is one that is associated with a low risk of health problems. It will vary from person to person. Generally speaking, the more extra weight a person carries, the greater the risk is that they will also develop a range of other serious health conditions, particularly if they are obese. Experiencing hypothermia in cold weather. Eating disorders such as anorexia nervosa and bulimia nervosa can contribute to a person being underweight and may be life-threatening if they cause extreme levels of underweight. BMI is a tool that is used to classify the weight of adults into healthy, overweight and obese. BMI is also used to classify the weight of boys and girls aged 2-18, but it is interpreted differently to adults. It is recommended by the World Health Organization and used as the main measurement in many guidelines for obesity around the world. It is important to remember that the BMI is an approximate guide and is not accurate for everyone. One reason for this is that people with the same weight can carry different amounts of fat compared to their lean body mass (bone and muscle). Also, BMI does not take into account where body fat is accumulated on the body. Not all body fat contributes equally to health problems. Fat underneath the skin, particularly on the hips and thighs, does not tend to cause as many problems as fat around your abdomen. In particular, fat that builds up around the organs inside the abdominal cavity can cause inflammation within the body and contributes to many of the health problems associated with carrying extra weight. At any given weight, different people will carry varying amounts of fat around their abdomen. People from some ethnic groups, including Aboriginal Australians, can tend to carry more fat around their abdomen. For this reason, waist circumference, which can be a good indicator of how much abdominal fat a person is carrying, is also often used to assess how much of a risk a person's extra weight may pose to their health. 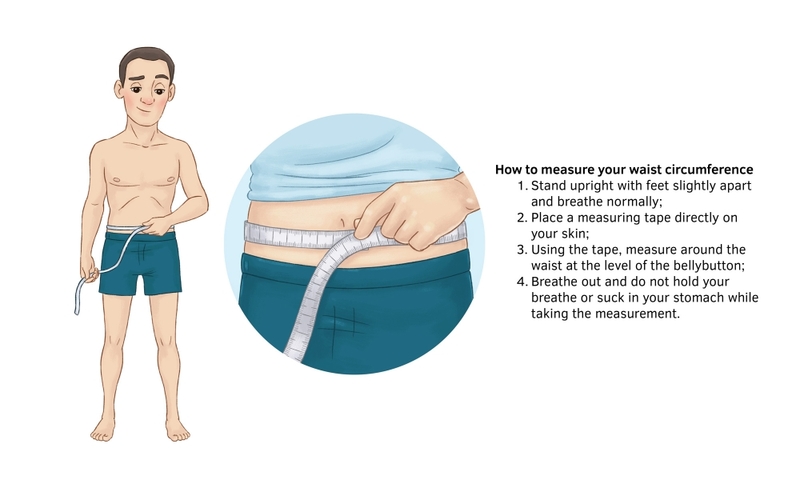 Breathe out (no holding your breath or sucking in your stomach) and take the measurement. For men, a waist circumference of 94cm or greater is associated with increased risk of health problems. For women, it is a waist circumference of 80cm or greater. Your waist circumference can be a good indicator of health risks from extra weight around the abdomen. Energy in food is measured in kilojoules or calories (1 calorie = 4.2 kilojoules). 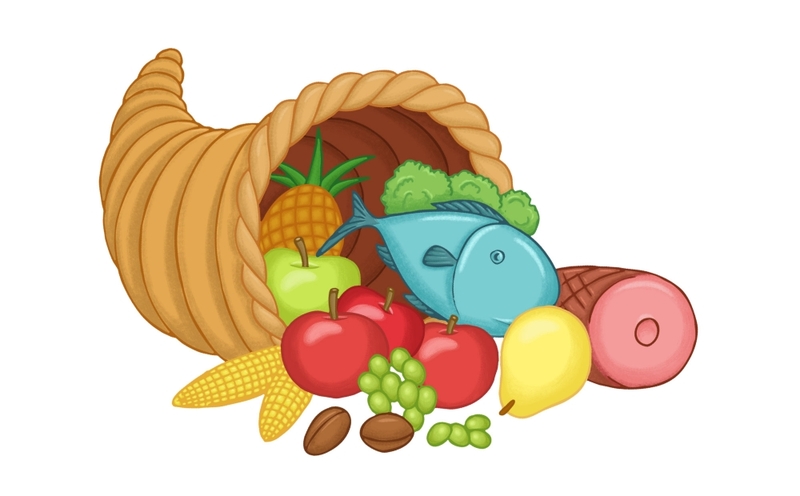 Foods vary in the amount of energy they provide. For example, vegetables tend to be low in energy and high in dietary fibre and nutrients that the body requires. Foods that contain a lot of carbohydrates and fats tend to be high in energy. Physical activity also uses up energy. 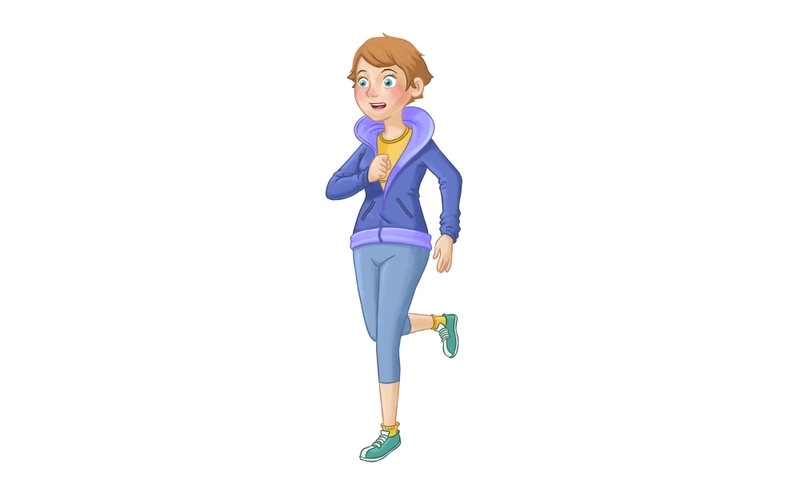 The more vigorous the exercise (such as running), the more energy the body will use, although all activities – such as housework, walking to the shops and even standing still – contribute to the amount of energy the body uses every day. With high-energy foods, you can take in large amounts of energy very quickly, while it takes much more time and effort to work off that energy. Generally speaking, this system works to try to maintain body weight at the same level over time. This level is sometimes called a set point. When your weight increases or decreases from your set point, the hormones will try to work together to get your weight back to that level. When a person gains a lot of weight, the body can change the set point to a higher level, which is one reason why it can be difficult to lose excess weight once it has been gained. This is another good reason to manage your weight and keep it in the healthy range if you possibly can. There are many things you can do to help keep yourself in a healthy weight range. Regularly measuring your weight and waist circumference (at least once every three months or so) is a good way of monitoring how you are going. It means that you can make changes to your eating habits and physical activity to compensate if you have started to put on an extra kilo or two. One of the keys to maintaining a healthy weight is to match your energy intake (via foods and drinks) to your energy needs. Depending on your size and how physically active you are, you may need more or less foods than other people. If you are carrying extra weight, changing your eating habits can help you with weight loss. It is important, however, to make sure that you still eat sufficient amounts of healthy food so that your body still receives the nutrients it needs. If you are underweight, the principles of healthy eating still apply. The healthiest way to gain weight is to do it gradually, by eating a wide range of nutritious foods. You can increase portion sizes slightly and eat regularly (three meals plus snacks) every day. Gaining weight by eating large amounts of foods that are high in sugar and fat and low in nutrients is not recommended. Dietitians can provide guidance on meal planning if you need help with planning and cooking healthy foods. A healthy diet will help you maintain a healthy weight. Physical activity gets you moving your major muscle groups; anything from walking and doing household chores through to running and cycling. Both your day-to-day activities, such as commuting to work or gardening, and structured activities - such as playing tennis or going to the gym - can count toward your daily activity levels. Firstly, the guidelines recognise that any level of physical activity is better than none. If you have any medical conditions that may make physical activity unsafe, your doctor can advise what kinds of activities may be suitable for you. If you have been inactive for a while, slowly increasing your level of physical activity can help you to ease your way back into being more active. A combination of moderate and vigorous physical activity. It is more effective to spread your activity over most or all days of the week, rather than getting all your physical activity done on one or two days of the week. Muscle-strengthening exercises are recommended to be incorporated into your routine two days a week. Although building lean muscle mass can increase your weight, it does not increase the amount of fat you carry and so does not increase your risk of health problems. It can also help to make you stronger, boost your metabolism and, over the long-term, can help you stay in a healthy weight range. Physical activity can be a combination of moderate and vigorous exercise. Sedentary time is time spent sitting. Spending more time sitting is associated with some health problems such as type 2 diabetes. It also means that your body uses less energy because major muscle groups, such as those in your legs, do not have to work as hard as when you are standing and being active. The Australian Physical Activity Guidelines recommend limiting prolonged periods of sitting and getting up frequently to break up the time you have to spend sitting. Psychological therapies are sometimes referred to as 'talking therapies'. They may be helpful if issues such as stress, depression or anxiety are contributing to unhealthy eating habits. Psychologists or counsellors may be able to provide advice on strategies that can help you to change your behaviours and maintain your new habits. Psychological therapies may also be helpful if an eating disorder is leading to under or overeating. If you are concerned regarding an unexplained change in your weight, you can see your doctor. There are some medications that can cause weight gain in some people. These can include medications for type 2 diabetes and high blood pressure (hypertension), as well as tricyclic antidepressants and steroids. Not all people who take these medications experience weight gain. If you are taking a medication that appears to be affecting your weight and you are concerned about it, speak to your doctor. There may be alternative medications available, your doctor may be able to adjust the dose of the medication you are on, or they may be able to give you guidance on how to limit weight gain. People who quit smoking tend to gain weight. The amount of weight varies from person to person, but the health benefits of quitting smoking will likely outweigh any health risks caused by any weight gain. Healthy eating and regular physical activity can help to prevent or minimise your weight gain.